That’s right, this week TeamBackPack is coming straight outta India! Don’t sleep on this international movement, Pardhann, Guru and long time friend Seti X bring some powerful bars to the stage. Don’t know the language, no problem just click “CC” on the lower righthand side on the video player to turn on subtitles! TeamBackPack Cyphers is back with a brand new CYPHER. This time from India. Featuring Desi Beam‘s own Guru and Pardhaan, along with Seti X, these guys put India on the map, representing India in the most reputed Cypher series in the world. The video has been filmed by DRS TV Film Crew, the same crew responsible for filming the DRS Jam Sessions Series. 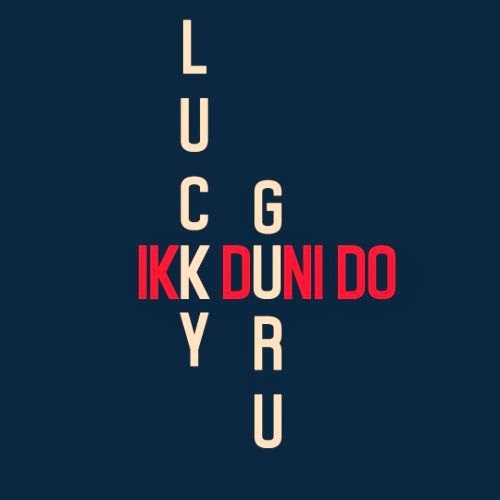 Kru172’s Lucky collaborates with Guru from Desi Beam for the first time, on this track called “Ikk Duni Do”. The track is produced by Kru172’s Nottotune. Its got Guru on the 1st verse & the hook, and Lucky on the 2nd verse. The track has an old skool vibe to it. Nottotune adds a bit of desi flavour towards the end. Check out this Hip-Hop banger as Kru172 meets Desi Beam for one more time. Guru from Desi Beam & Lucky from Kru172 have dropped the audio teaser for their upcoming collaboration “Ikk Duni Do”. The full track would be released soon along with a possible video. The track has been produced by Nottotune of Kru172. The beat has an old skool east coast vibe to it. This teaser is Lucky’s first release since “Only 19” music video, and Guru’s first release since “Sajna Ve Sajna” video. Both Guru and Lucky told DRS TV that they have been working on brand new projects, which would be out in future. Rapper Guru, from Desi Beam, one of the most popular desi rap crews, drops yet another bomb, as he collaborates with Famous punjabi singer Nachattar Gill, for the track called “Chaar Punjabi”. The track is also the title track from the upcoming punjabi movie “Saadi Vakhri hai Shaan”, starring Sangram Singh, Mandy Takhar, Binnu Dhillon, Gurpreet Ratol, Shivendra Mahal, Harpal Singh, Mannu Sandhu, Tarsinder Thind, Rana Ranbir,Vicky Mangat, Anita Meet, Dharminder Grewal,Abhiroy Cheema and Amrik Mangat. The track is produced by Dilpreet Bhatia, and the movie, as well as the song, is written by Inder Roop Singh Ghuman.